Massage therapy can help a beginner or even a professional athlete improve their performance. Among many other things, massage therapy can improve your conditioning, help with a faster recovery, and prevent injuries. Additionally, a few other positive effects from massage therapy combined with exercise are: reducing swelling, improving range of motion, reduce tension in the muscles, and a decrease in post exercise fatigue and stiffness. Many professional athletes use massage therapy as a key element in their training process. However, you don’t have to be a professional athlete to benefit. 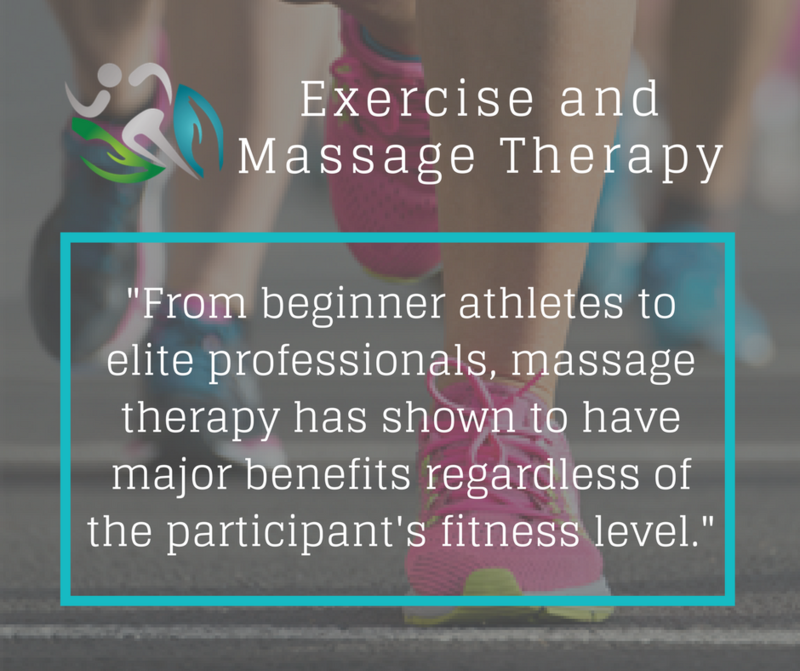 Anyone who exercises, beginner or experienced athlete can benefit from massage therapy. TherapyWorks has highly trained and experienced massage therapists who can help complete your exercise routine. Give us a call and let us help you!